There’s room for a few more registrants in this webinar, which already has 500 participants. Sign up here. This is the second webinar in the Food, Water and Energy Nexus Webinar Series and pathways to a sustainable future, co-hosted by Arizona State University’s School of Sustainability. How green is NJ? Sustainable Jersey’s Sustainable State Report tells all. 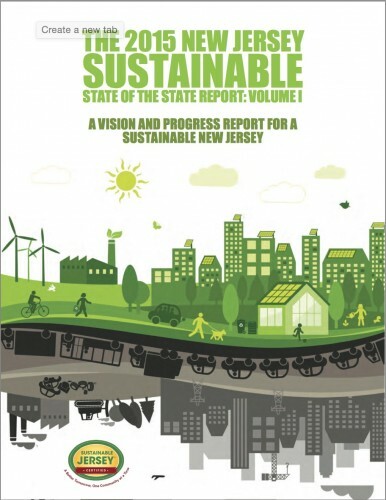 The 2015 NJ Sustainable State of the State Report is now available as a free download. The report is published by Sustainable Jersey, the statewide program helping municipalities become greener and more resilient. It was released on June 10 2015 at the Sustainable Jersey Summit. Green Drinks is about Environmental Justice and Sustainability, not green colored drinks. Green Drinks is just our name! 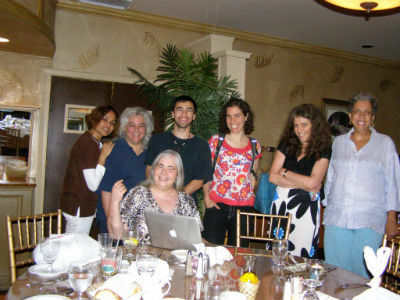 We meet monthly in three north Jersey Environmental Justice (EJ) cities. Our informal gatherings are held in friendly spaces to bring people together to chat over food and provide information about the green and sustainable issues relevant to our lives and communities. Green Drinks meetings are open: everyone is welcome and there is no admission fee. Discussions are shaped by the attendees who sit around a table chatting together, but each month we propose certain topics to get the conversations/training going. Admission is free. You just pay for the food and drinks you consume at the locations where we meet. We always scout out friendly places with good food at moderate prices. Learn more at greendrinks3.org. This month we’re returning to Agave but on 03 March 2014 Al-Tariq Best has invited us to meet at FP Youth Outcry’s HUBB Center on Prince Street in Newark. Big Money in general elections impacts the environment? We’ve partnered with Represent.Us to get rid of it! How Green can you or your business get? BCC NAACP is bringing Nathaniel Brings to speak at the college for Black History Month. 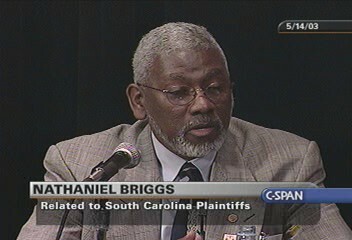 Mr. Briggs’ father was the first signer on the lawsuit that became Brown v Education. He will talk about his family’s experiences, and he’s a fascinating speaker. More than 30,000 elephants were slaughtered last year for their tusks, which are used to make ivory trinkets and carvings, which are sold in black markets around the world, including in the US. But it’s important to stop this illegal trade. There may be only 250,000 elephants left in the wild. Sign to show you care! Green Drinks are not a type of drink! They are informal gatherings that bring people together to chat over food and drinks about green and sustainable issues relevant to our lives and communities. Green Drinks meetings are open, everyone is welcome and there is no admission fee. Pay for the food and drinks you order at the restaurants where we meet – each location serves good food at moderate prices. The Delaware River Basin Commission put plans on hold to allow drilling in this critical watershed two years ago. Now the executive director of the DRBC is talking about developing a strategy for drilling in the basin. Fracking will destroy this precious landscape and threaten the water that we all depend on. Their next meeting will be on December 3 — please join Food & Water Watch and our allies to celebrate two years of no drilling in the Delaware River Watershed and stand up for the only strategy we should be support: A Ban on Fracking!. The public is welcome. Come out for the unveiling of the MLK Jr. monument, network, support the committee’s efforts. The Community FoodBank of New Jersey and Bergen Community College collaborate to screen this dramatic documentary about hunger and food insecurity in America. In Bergen County, 88,000 are hungry. There will be a panel discussion after the film and we invite you to come and take your place as part of the soluton. All are welcome, admission is free, and light refreshments will be served. 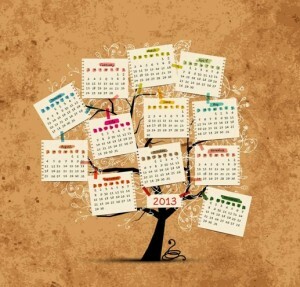 For more info visit cfbnj.org/bcc or email driley@cfbnj.org. There is widespread community concern in Roseland New Jersey that a new 30,000 horsepower gas compressor is being built right next to a major electric transmission terminal and both of these are within a major flood zone of the Passaic River. Star Ledger story about the Roseland Compressor station. More than 30,000 elephants were slaughtered last year for their tusks, which are used to make ivory trinkets and carvings. They are sold in black markets around the world, including in the United States. But we’re working to stop this illegal trade. Nearly six tons of elephant ivory will be crushed into gravel by the US Fish and Wildlife Service. It is the largest amount of seized ivory ever destroyed in the US. By destroying its store of seized ivory, the US government is sending a strong signal to the rest of the world that we need to end the demand that is fueling ivory trafficking and get serious now about saving elephants. Sign to show you care. Español hablantes siempre muy bién venidos. Visite greendrinks3.org por mayor información. THIS MONTH AT GD Hackensack: How do the Senatorial candidates hoping to win Lautenberg’s seat look on environmental issues? THIS MONTH AT GD Newark: Superstorm Sandy had a serious impact on Newark’s sewerage pant. Currently, its air permit is up for comment. There were also a lot of votes on environmental bills in the New Jersey Legislature recently; please bring your knowledge, and let’s compare notes from our collective research. At Green Drinks we are working on building healthy food systems and clean, safe communities. We’re chatting about . . . combatting climate change, composting, biking, kids walking to school, protecting public education, solar energy, alternate fuel cars and better public transit. Each of these is a sustainability topic. Expert social and environmental justice advocates come out to spend the evening with the community discussing these issues. The point of Green Drinks is to spark conversation about integrating sustainability activities and environmentally friendly practices into our lives and neighborhoods! You are! We have interesting and lively discussions, and meet at restaurants that serve good, inexpensive food. 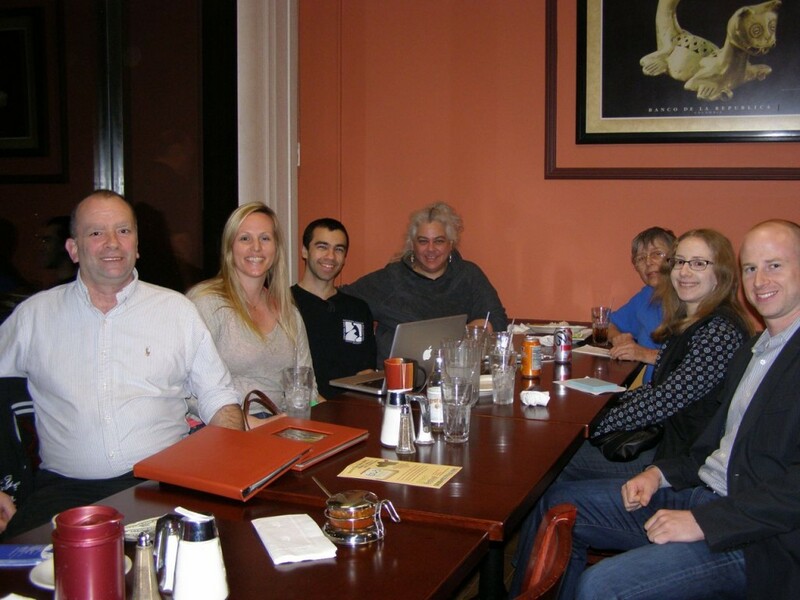 If you have information to contribute, or just want to learn, you’ll be welcome at Green Drinks. Feel free to bring a friend. Recognizing your blessings is a game changer, so we discuss happiness. Protecting the free and open internet is ESSENTIAL to being happy and empowering communities, so we discuss this too. Extraordinary NJ Environmental Ladies Rock! The foursome in this “League of Extraordinary Women” video – Lady Gaga (Amanda Nesheiwat), Marilyn Monroe (Rachel Wieland), Wonder Woman (Leslie Raucher) and Hillary Clinton (whom I don’t recognize) are in real life, powerful environmental advocates in their own right. Spending a few minutes with them in their super-power incarnations – what I can say? It’s the chance of a life time, and one you will NOT want to miss. These women pack powerful sustainable punches into the statements they make in, but the fun is how delightful they are. Don’t be surprised if you like Amanda’s Lady Gaga almost better than the real thing. Thanks for a few minutes of sheer enjoyment, ladies!